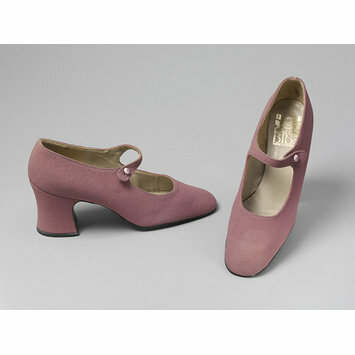 Pair of dusky pink Mary Jane style pumps in moss crêpe with bar straps and buttons. High heeled court shoes. 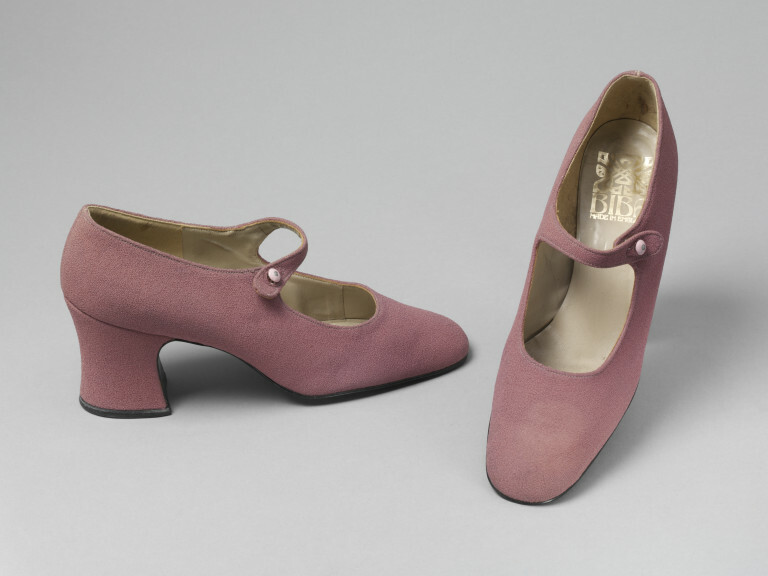 A near-identical pair of these shoes was worn by the actress Katy Manning as regular character 'Jo Grant' in the BBC TV series 'Doctor Who' in the 1972 story "The Curse Of Peladon" (4 episodes). Jo Grant famously wore trendy, super-fashionable clothing in each story, most if not all of which has been identified as being Biba.